We may have kittens available that are not on the website. Please call us with any questions. We have high standards, using only the best bloodlines; those that have been proven by catteries before us. 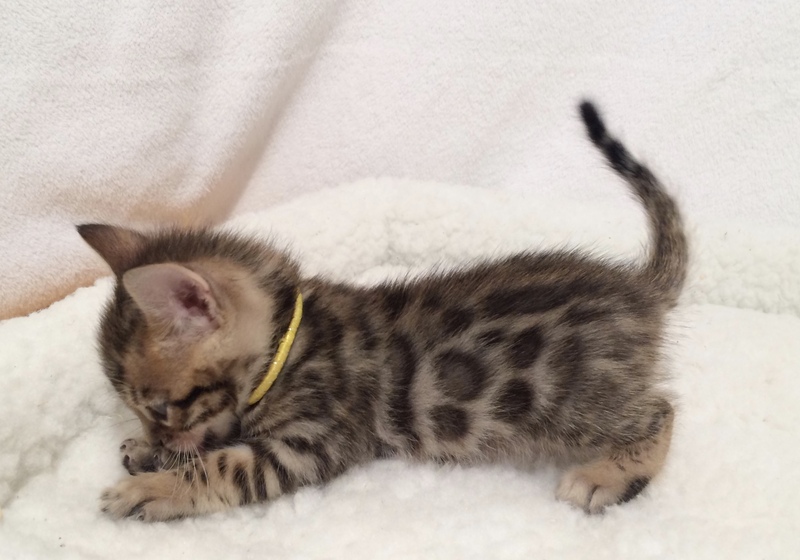 We have kittens for sale as pets, breeders, or for show. You may have never thought of a pet as a luxury or the master piece of a home. The magnificent Bengal cat is both. With its beautiful exotic appearance, luxuriously plush fur, and wonderful personality, these cats are a delight to own. The pelt is rosetted and colored with stunning hues of contrast and has gold tipped hairs which adds a luminous sheen when stroked. 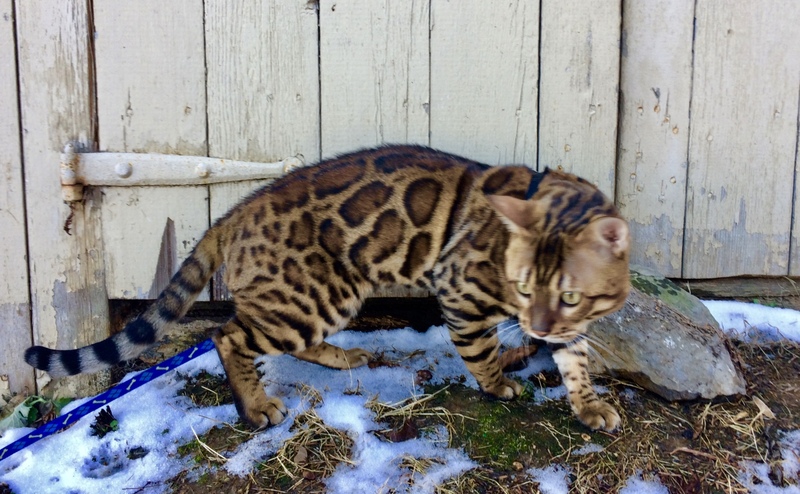 People have long been fascinated with the beauty of wild cats and have attempted to remove them from the wild and transplant them into their homes. This was dangerous and seldom successful; usually resulting in both an unhappy cat and owner. What has been successful though, was the breeding of Asian Leopard Cats with domestic cats. 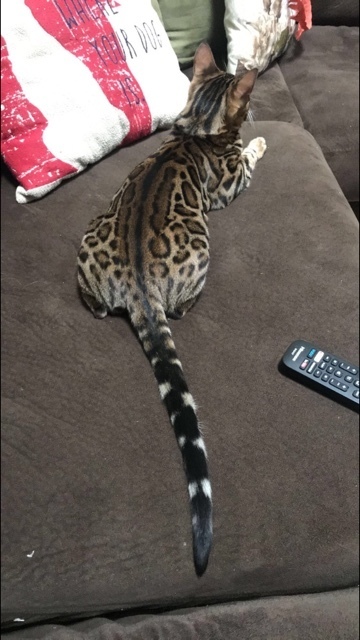 Through generations of selective breeding a new breed has emerged; a friendly little Leopard perfectly suited to living with humans, enabling us to bring a bit of the rainforest into our homes. 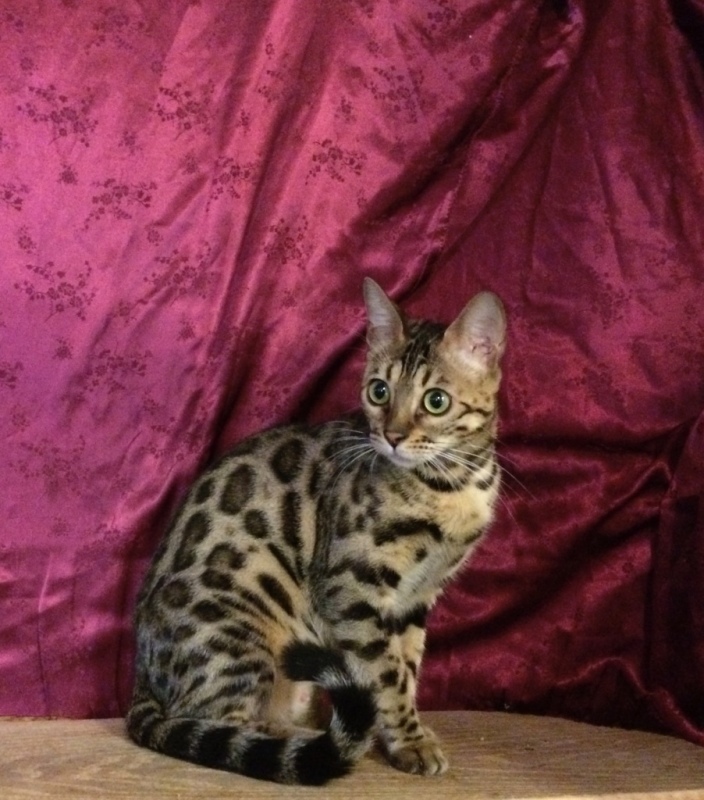 Bengals are devoted pets; safe with children and other pets, and will want to be included in whatever you are doing. But they are more than just a pet. A quality Bengal is nothing less than a luxury. It is a Jewel of the Jungle which can be found in upscale and elegant homes around the world. Thank you for visiting our website.​​​​​​​​​​​​​​ Our goal is to provide you with a high quality, healthy, exotic looking cat. 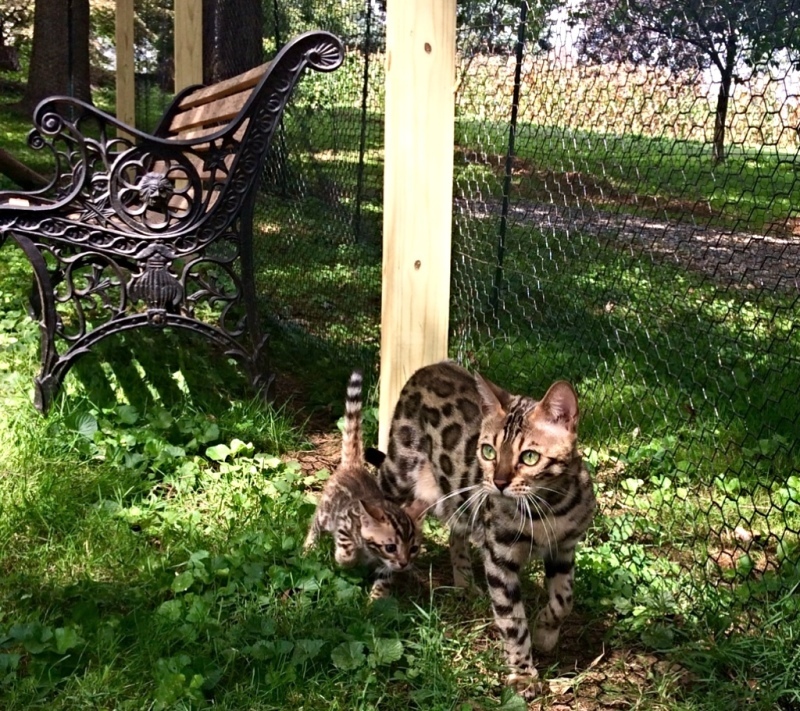 Our Bengals are friendly and intelligent, easy to train, full of energy, and totally irresistable. Their sweet nature goes hand in hand with their excellent pedigrees. 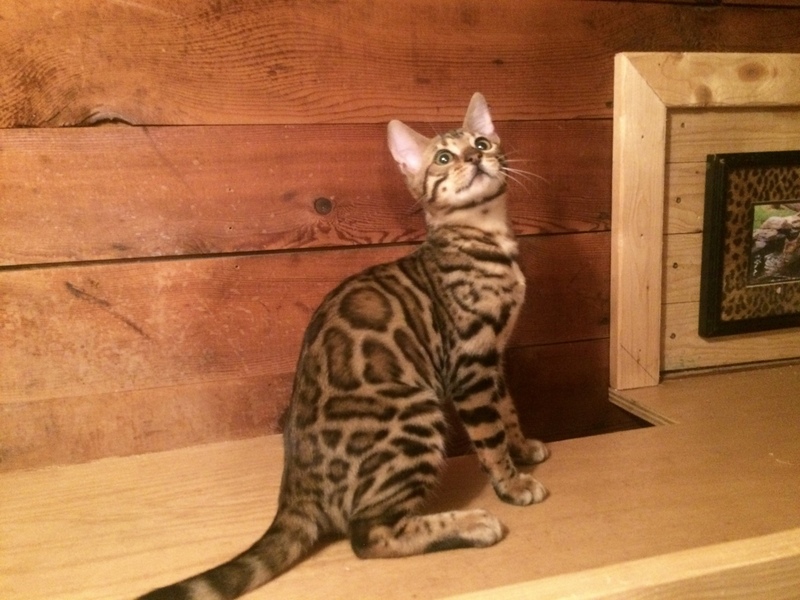 Our breeders come from renowned catteries producing some of the finest Bengals in the world. 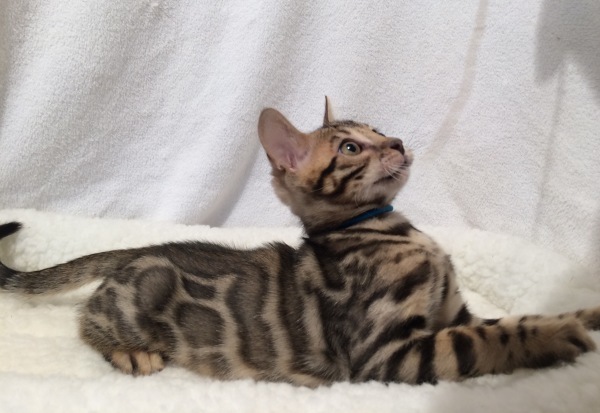 These kittens display dramatically contrasted rosettes, and vibrant color which is so desirable in Bengals.